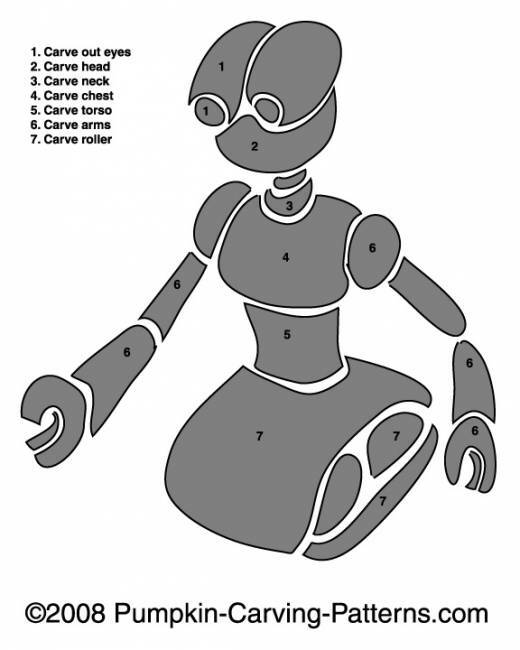 This is a cool template to choose for your Halloween pumpkin: Robbie the Robot! He glides along the floor on a conveyor belt and can get you anything you ask for. Wouldnt that be great to have Robbie around to help you clean up your toys?